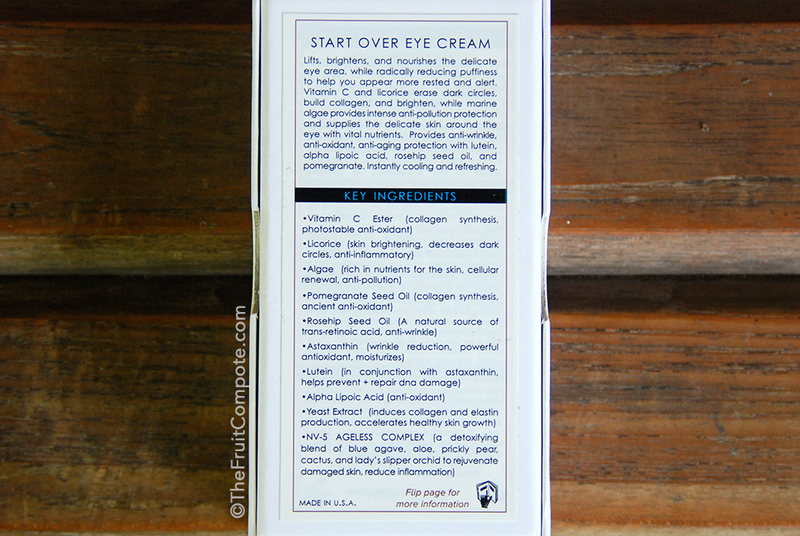 Let me state this first before I start the review: I’ve always been skeptical about eye creams. I think it’s a marketing gimmick on getting us to buy more products from the brands, especially with all the “stellar promises”. The fact that there are a lot of people keep buying different eye creams from various price points and not noticing any difference adds more to the skepticism. That being said, I’m also aware there are some success stories out there. So I guess, it must be a total preference thing. Which is why I’m going to say this, please take a grain of salt when you read this review (or any kind of review for that matter). What works for me might not work for you and vice versa, even if we have similar skin type/issues/problems. 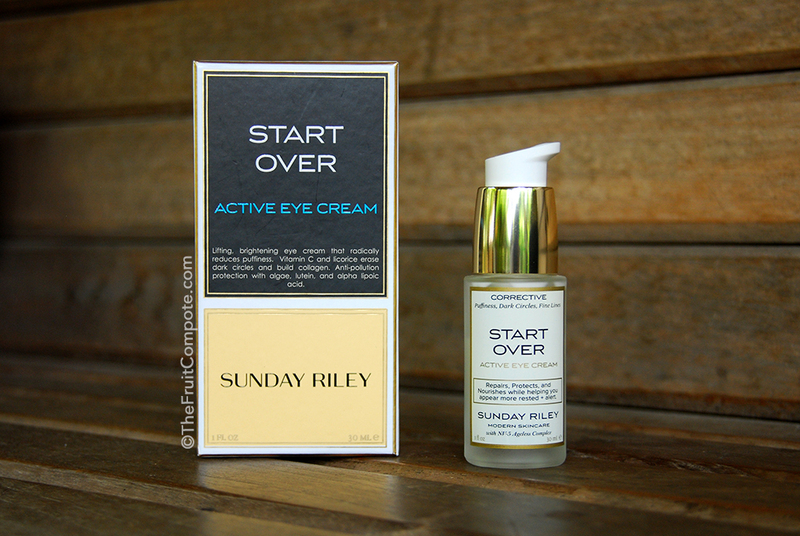 Without further adieu, Sunday Riley Start Over Active Eye Cream. With all of my skepticism to eye creams in general, then why am I still interested? Well, it’s only logical when they say the eye area is more delicate than the rest of the face, therefore they need special care. I’ve tried a few eye creams in the past and sad to say, they stung my eyes. I cried and wept and had to wash it off if it’s too painful. The only reason I want to try this particular eye cream is because it’s from Sunday Riley. The Good Genes Treatment is life (skin)-changing for me and I’m forever indebted for that. So I’m curious whether it’ll do the same for my eyes. 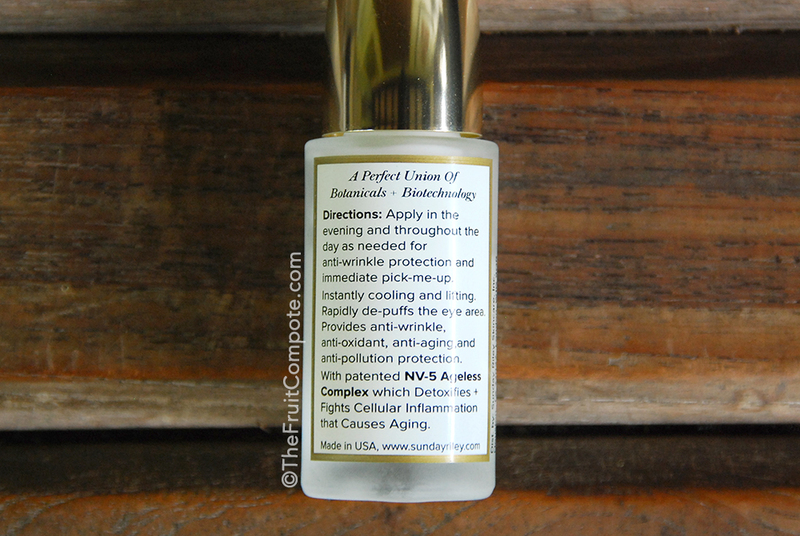 As with many eye creams, it is filled with wonderful promises, on the web description and on the packaging itself. Sunday Riley claims Start Over to be a corrective treatment: for puffiness, dark circles and fine lines. It repairs, protects and nourishes while helping us appear more rested and alert. Click for a zoomed version. Keep in mind that I don’t expect big things. I don’t necessarily suffer from prominent issues like heavy dark circles, bags, fine deep lines or anything substantial. My under eyes have bluish/purplish tinge to them so I do need a peachy pink corrector to neutralize them. I have hooded eyelids, and they do get puffy pretty often. I inherit my dad’s sunken under eyes and they can get puffy too, or sometimes too sunken. Still quite normal, I think. Or maybe I’m just too lenient about this, perhaps. On the first try, I was happy to find out that it didn’t sting my eyes. BUT, it did on the third use. It’s usual business on the next day. Then it stung again. I realized that I must’ve applied too much and/or too closely to my lash lines. Ever since I figured out the proper application, I haven’t had any stinging issues. Sunday Riley suggests to use 2-3 pumps of Start Over and that is obviously way TOO MUCH for me. I mean, I only use 3/4 pump for Good Genes. For this, I use a mung bean-sized amount and that’s enough for both eyes. The packaging and the pump is exactly the same as Good Genes‘ and the pump mechanism is quite fantastic to dispense such a small amount. I apply it every night on my under eyes and eyelids with a light, tapping motion. The texture is also quite similar to Good Genes‘, a white lotion. Really love the texture. It feels very lightweight on the skin, hydrating but not greasy. Most definitely, it’s very refreshing. I like to use it in the morning too, provided that I don’t forget to (because my nighttime and morning skincare are stored in two different rooms). I don’t find it alters the wear and longevity of any eye makeup that I put on. As I mentioned before, I don’t expect big things, much less instant results. I personally believe that taking care of the eye area is all about long-term maintenance (so is the rest of the skin). So I really take my time, enjoying this new routine of mine for a few months before deciding to take a closer look for any changes. After 5 months of use, here are my thoughts. Definitely no instant results here. I didn’t notice any distinguished difference until I hit 3 months of continuous usage. My eyes get puffy quite often. The puffiness might not be obvious, but I can just feel it as if there’s something, like an extra weight. Start Over puts the puffiness at bay. No more swollen eyes in the morning. And another plus point for this, when my under eyes gets a little too sunken, the eye cream seems to puff them back up, to normal state. Lifting and nourishing? Yeah, I’d say so. Did I mention it’s refreshing too? Combats dark circles: it helps. While I don’t have that overly dark of under eye circles, the bluish/purplish tinge sure gets annoying sometimes. I can still fix it with a corrector but I dreamed of having to wear less. I start to notice the ‘discoloration’ becomes less and less throughout the months. I notice this when I’m applying my corrector and concealer. They seem to perform better, which is impossible since they are the same products. So, it must be my eyes. In short, Start Over makes the overall appearance of my under eyes looks healthier. Less somber and tired-looking. I don’t have fine lines around the eye area yet. OK, I might, but it’s not obvious to me. I was very intrigued by the word “anti-wrinkle” in the description so I decided to take a chance and also apply this (thinly) on other parts of my face such as my nose, nasolabial folds a.k.a. the smile lines, and a small portion of my top forehead. Again, the improvement is not discernible to my eyes but it’s noticeable when I apply my makeup. Those areas become somewhat smoother and more refined. But then again, I can’t be 100% sure because I do use other skincare on the face. That being said, the smoother result also applies to the dedicated eye areas. My corrector/concealer glides on easier and better. All in all, as hard as it is for me to admit, Start Over seems to be doing its assigned job rather well. I do look well rested and awake in the morning, even if I had pulled a late-night the night(s) before. I feel the need to tell you that I sleep late almost every night. My standard of “late” is way stretched by now, you don’t even want to know. It’s one of the things I want to fix this year, but that’s another talk for another time. It’s expensive, sure. But with the price I paid for (USD 85), I get 30 ml of product. Most of other eye creams I’ve seen so far are sold in tiny 15 ml jar/tube, not to mention some are priced outrageously for a lot higher. You should notice that brands put higher price tags for eye creams. Eck. Sunday Riley Start Over Eye Cream will last me for a good while and I’m glad I took the plunge purchasing it. It’s rare enough to find an eye cream that won’t make me weep as if I’m cutting onions, but it’s even rarer that I actually like everything it has given me so far. Majolica Majorca Cream de Cheek Kiichigo Cream – Flushed Cheeks, anyone?